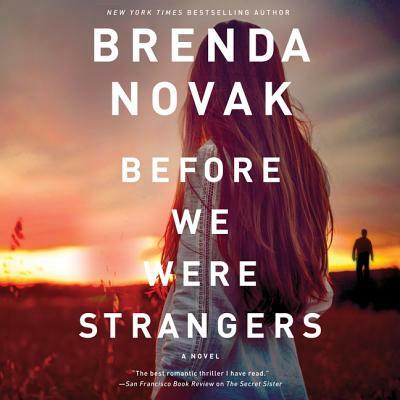 Before We Were Strangers Lib/E (Compact Disc) | novel. Five-year-old Sloane McBride couldn't sleep that night. Her parents were arguing again, their harsh words heating the cool autumn air. And then there was that other sound-the ominous thump before all went quiet. The official story was that she left. Her loving, devoted mother That hadn't sat any better at the time than it did when Sloane moved out at eighteen, anxious to leave her small Texas hometown in search of anywhere else. But not even a fresh start working as a model in New York could keep the nightmares at bay. Or her fears that the domineering father she grew up with wasn't just difficult-he was deadly. Now another traumatic loss forces Sloane to realize she owes it to her mother to find out the truth, even if it means returning to a small town full of secrets and lies, a jilted ex-boyfriend, and a father and brother who'd rather see her silenced. But as Sloane starts digging into the past, the question isn't whether she can uncover what really happened that night-it's what will remain of her family if she does?